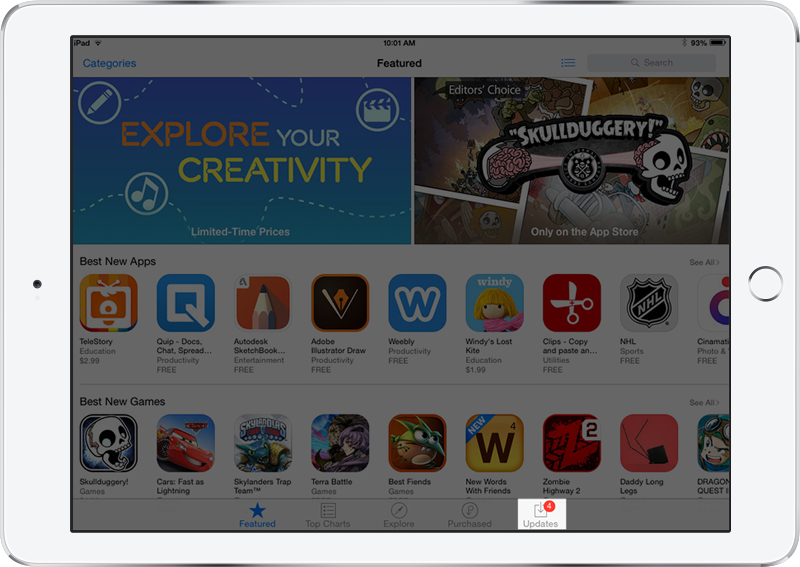 Open the 'App Store' app on your iPad. Choose 'Updates' from the bottom bar. You should see the update available for Kiosk Pro. Select 'Update'. The app will begin updating to your iPad. When it is completed, you can select the app to launch Kiosk Pro. In the Library dropdown (default is 'Music') choose 'Apps'. Choose 'Updates' from the navigation bar. 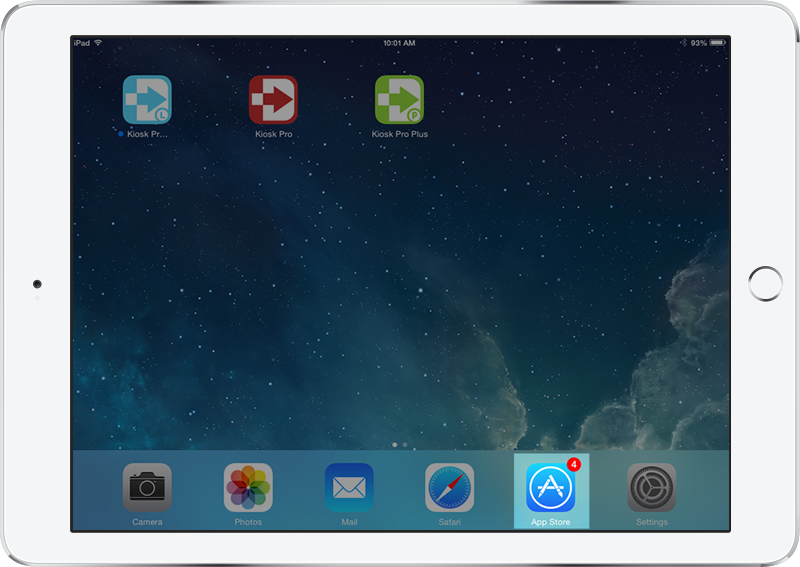 When the download is completed, connect your iPad to your computer via a USB cable. Select the 'Library' button and then choose the 'iPad' button which should appear after connecting your iPad. Select 'Apps' from the navigation bar. Select the 'Update' button next to the Kiosk Pro icon and select 'Sync' at the bottom of the window. 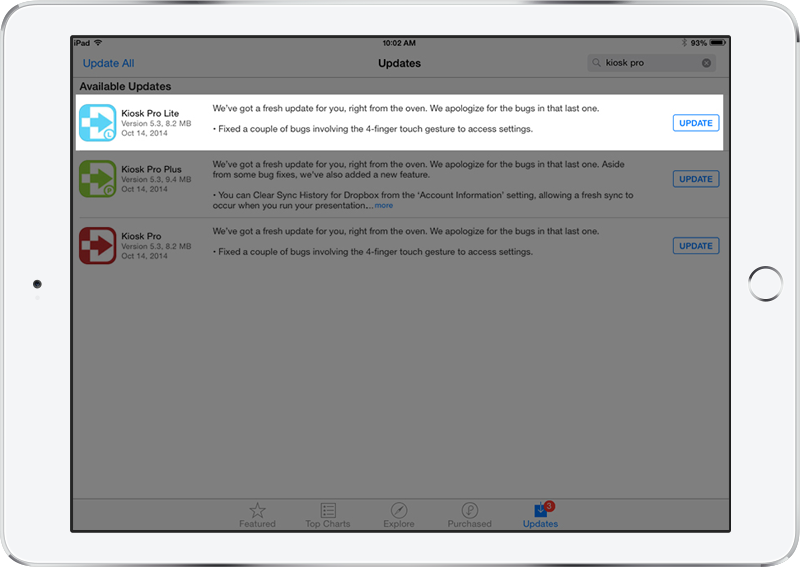 You can also enable automatic downloads for updates through both iTunes and your iPad; if automatic updates are enabled, you may not be able to revert to a previous version of the app if necessary.